I have to say that the cover is not my cup of tea at all. It doesn't seem to suit the topic of the book or the author (who wrote my beloved Emiko Superstar). But that's the good thing about an ebook, you don't see the cover if you don't want. In other big Canlit news, the Giller longlist was announced yesterday. 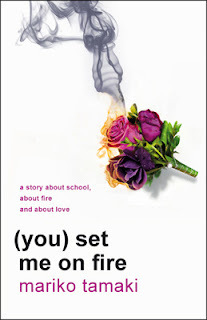 The book I was rooting for wasn't nominated. Booo. The shortlist will be announced on Oct. 1 and the winner on Oct. 30. I would love to be able to read a few of these books before then to choose my own favourite. But so many of these books are not available outside Canada until next year, and others not at all. 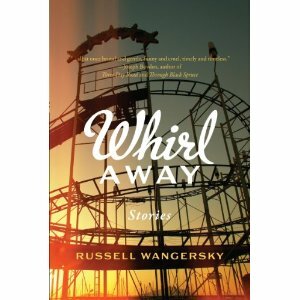 I did locate a copy of nominated short story collection Whirl Away by Russell Wangersky which pleased me. My kids are totally enjoying I'm Bored from Ohi and comedian Michael Ian Black. Lots of belly laughs from their rooms. What are you reading this week? Any early favourites for the Giller Prize? I was excited to hear about the Giller announcement and was going to look into trying to order some of them. I guess not, however! Sigh. Whirl Away is on Amazon Japan (and was in my little bookstore!). Inside is there too. http://www.amazon.co.jp/dp/1780871392/?tag=perogiesandgy-22 The Emperor of Paris is available on Kindle. Looking for others!